t*rexes and tiaras: friday favourites 053..
After dragging my bike outside last weekend for a cycle into town for the first time in quite a while, I don't seem to be able to get bikes off my brain. 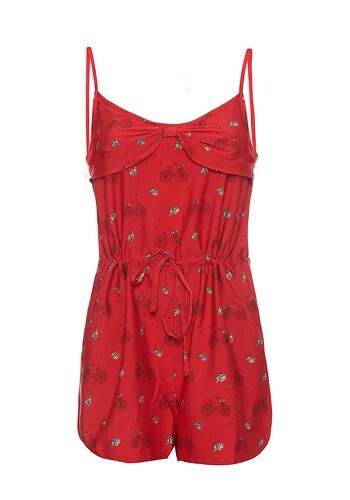 001: I love this playsuit, such a pretty print on a striking background. I'd love to wear this to the beach with the sun blazing and a picnic basket full of food to keep us going through the day. 002: This skirt is so pretty, I saw it (and the dress in the same print) in a little seaside boutique earlier in the year, but I was very restrained as it was raining and I was actually supposed to be buying a raincoat. 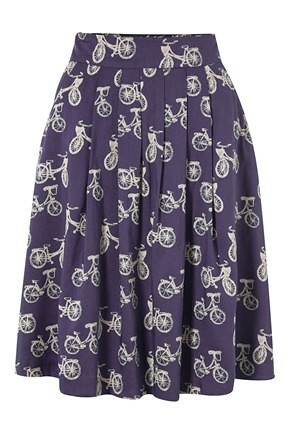 I wish I'd picked it up when I saw it though, I want to wear it on bike rides! The Great Plains sale has some lovely stuff, I'm also quite tempted by this cardigan. What have you been wishing for this week..? Roll on payday, that's all I can say! That skirt has your name written all over it char! oh wow! those are well cute!!! I've just asked the personal shopper at top shop to find me a cute new dress. Iove their service because I get hardly any time to shop anymore and when I buy online nothing fits me!